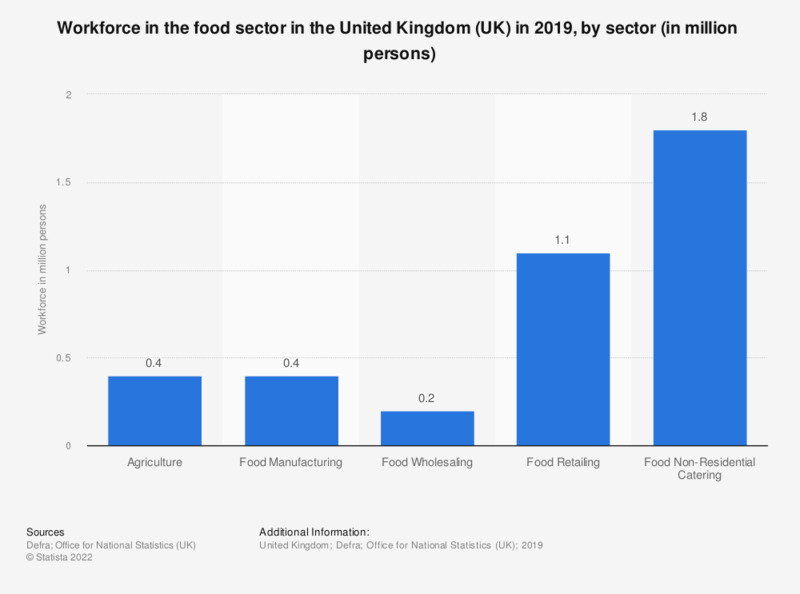 This statistic shows the workforce in the food sector in the United Kingdom (UK) in 2017, by sector. During this year the food manufacturing sector was accountable for approximately 10 percent of the total workforce in employment. Additionally, the workforce in the food sector breakdown over the same period of time in the United Kingdom can be found at the following.